Medium length, with moderately strong muzzle. Hornless. Face colour chocolate, with a topknot of white wool on the forehead. Ears dark and of fine texture. Short and well set in the shoulders. Back of good length and level. Ribs well sprung with no hardness on shoulder. Tail broad and well set on. Forelegs set well apart- hind legs well filled with meat. Legs chocolate, clean short and flat boned. Short to medium length fleece of medium fine "downs"
(1) Horns, or any evidence of horns. 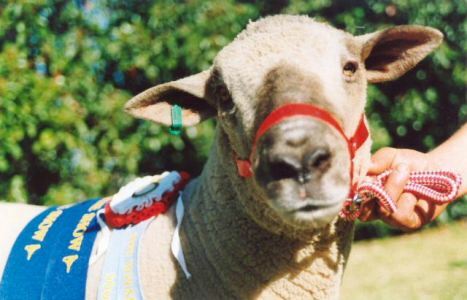 South Suffolks are a large, comparatively heavy meat breed of sheep. 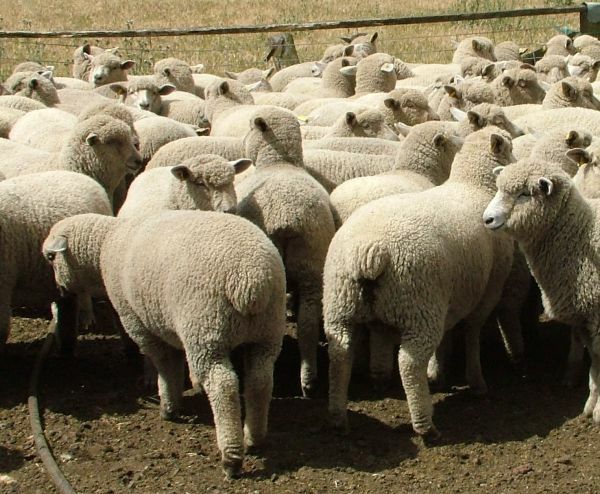 Rams are for use as terminal sires, used in cross breeding for early prime lamb production. In australia South Suffolks can be found in Victoria, Western Australia, New South Wales, South Australia, Queensland & Tasmania. 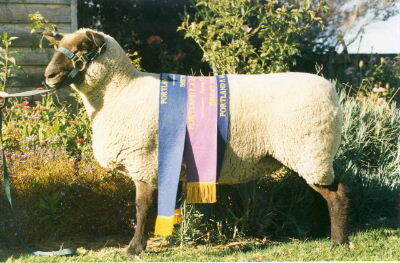 South Suffolks can also found in New Zealand, where the breed originated. 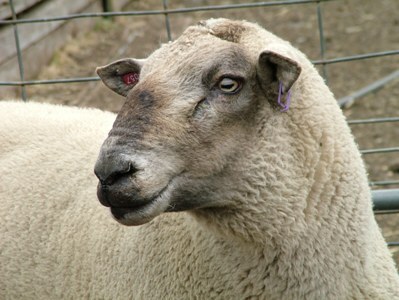 The South Suffolks wool is a short, fine, downs type, the fiber diameter is between 24 - 28 microns. South Suffolks wool is used for knitting yarns and for apparel.